And I think Whatsapp has finally taken notice of my mounting frustrations. 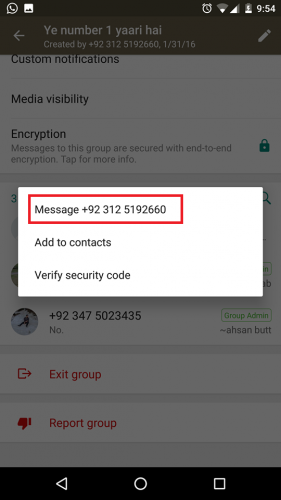 The enormously popular chat application has finally come up with a feature that stops people from adding you to WhatsApp groups you don’t want to be a part of. 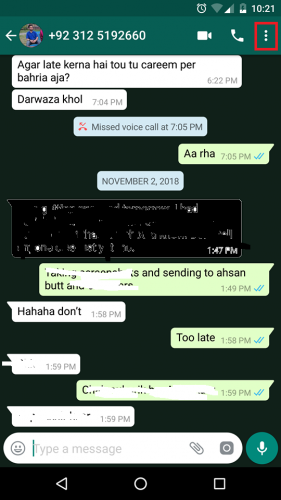 It’s about time we take charge of our Whatsapp privacy and prevent people from including us in their cockamamy. I have! 1. 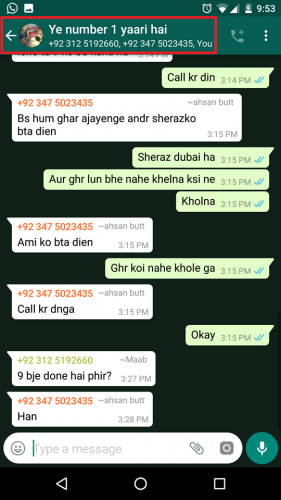 Open your Whatsapp Application. 2. Tap the Three Vertical Dots in the top-right corner of your screen. Select who can add you to groups without your permission. Everyone: This option will permit anyone to add you to a Whatsapp group. It’s pretty self-explanatory. My Contacts: This will allow only your added contacts to include you in Whatsapp groups. Nobody: This option will stop all Whatsapp users from adding you to a group. If they try to add you, they will get a message requesting them to take your permission beforehand. Choose one depending upon your preferences. 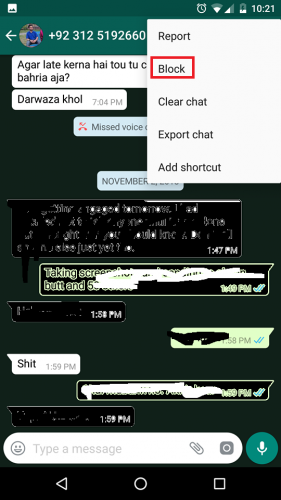 Note: This feature is slowly rolling out to Whatsapp users so don’t be surprised if hasn’t been made available to you yet. 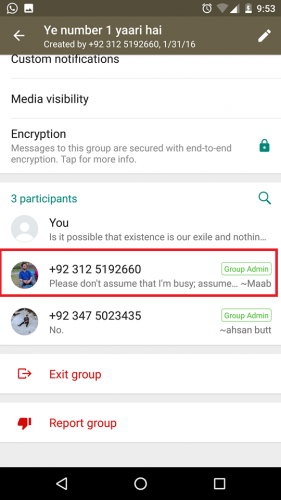 If it hasn’t been made accessible to you, you can alternatively block the group admin, which will prevent him from adding you to a Whatsapp group in the future. This isn’t a foolproof measure but will suffice in the meantime. 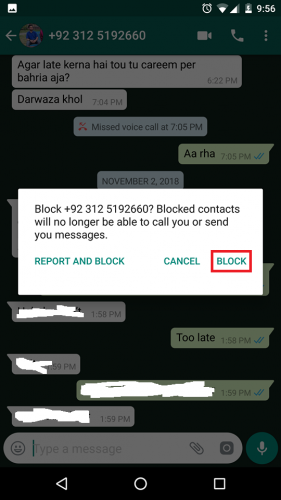 Here’s how you can block someone on Whatsapp. 1. Go to the Whatsapp group that has you all riled up. 2. Tap the Subject of the group at the top. 3. Scroll down to the Participant’s section. 4. 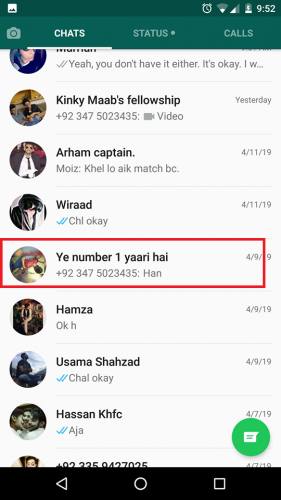 Tap the name or number of Group Admin you wish to block. 5. A Message Box will pop up. Select Message (Number). 6. Select the Three Vertical Dots in the top-right corner. 7. Select More from the drop-down menu. 9. Confirm your choice by tapping Block one final time. Users will not be notified when you’ve blocked them on Whatsapp. So, there’s no need to worry if it’s a close friend that you’ve chosen to kick-out from your Whatsapp world. You can still be friends with him in the real world. Taking charge of your privacy doesn’t just save you from irrelevant chatter or toxic friends. It’s also increasingly important to protect yourself from harmful online elements. 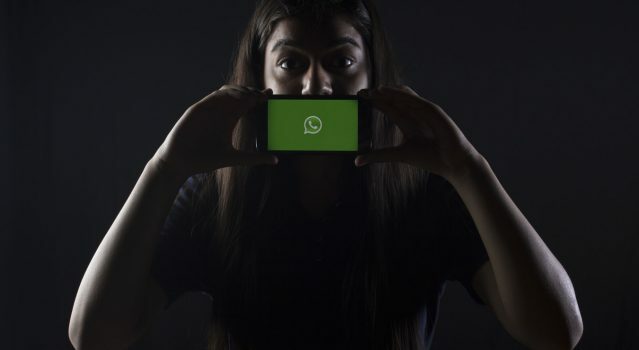 For instance, several Whatsapp users share explicit and illegal videos that are automatically downloaded on to your device, without your consent, exposing you to criminal scrutiny from the authorities. Another reason why this feature is important is fabricated political influence. During election years, several political parties, in a concealed bid to increase their clout or further their propaganda, influence the choices of voters by sharing videos and content fostering their ideologies. The Cambridge Analytica case that put Facebook under searing legislative scrutiny is a prime example of this.